One of the fun Chicago activities for both Chicagoans and tourists alike is a trip to Medieval Times! Located in Schaumburg (2001 North Roselle Road), Medieval Times is a one-stop entertainment and dinner show complete with maidens, knights, horses and no dinner utensils. It is fun to do this any day, but it’s even better when you can get a Medieval Times Chicago discount! Knights in shining armor. White horses. Fair maidens. 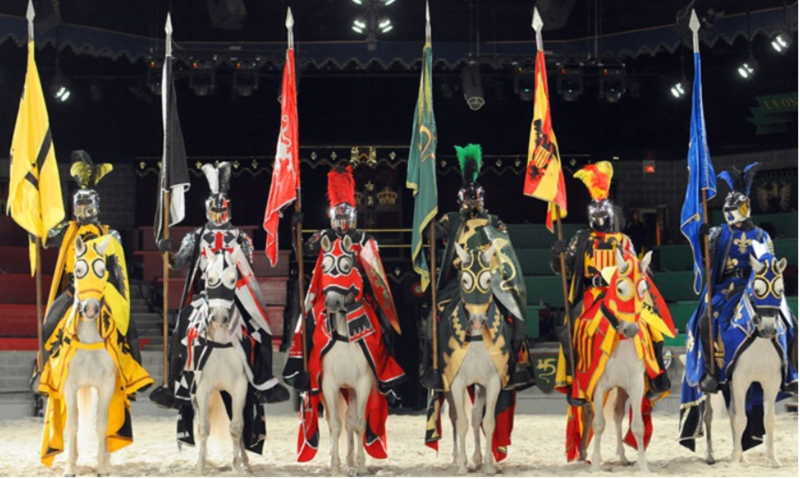 All the magnificent trappings of a bygone era come to life at Medieval Times, where ironclad knights clash for the title of King’s Champion in front of a wide-eyed audience that peppers the battlefield with cheers and jeers between bites of a four-course dinner. Each two-hour tournament channels the pageantry and spectacle of 11th-century Spain, pitting six competitors against each other inside a spacious, sand-filled arena for the honor of earning the title of champion and the favor of the royal court. 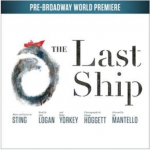 A spirited musical score infuses epic onslaughts with an extra dose of tension as adversaries joust atop stallions, deflect ferocious blows, and slice through suits forged of authentic junk mail. To further immerse guests in the fairy tale, Medieval Times encourages each guest to declare their allegiance by cheering loudly for the knight in their corner. Like royal guests centuries ago, spectators bask in the revelry while feasting upon a finger-friendly bill of fare without the aid of utensils or the “choo-choo” sounds of parents. The four-course feast includes a tomato-bisque soup starter, oven-roasted chicken with a garlic-bread side, single spare rib, and an herb-basted potato. Servers periodically fill patrons’ goblets with soda or water, which adults can supplement with purchases from a full-service bar. Meals conclude with the castle’s sweet pastry dessert. Medieval Times is a really fun activity for both kids and adults, so grab your Medieval Times Chicago discount and enjoy the show! Interested in more? Read other Chicago Deals here. 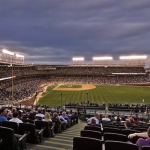 Chicago Cubs Rooftop Tickets Discount! 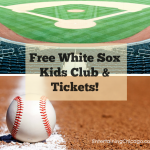 Free White Sox Kids Club And Baseball Game Tickets! 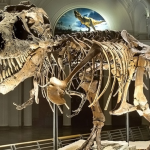 The Field Museum Chicago Discount!